I've always wanted to find what's best and comfortable for me and my baby, especially when we go for a walk or just around the house. Because they grow up too fast, I'd like to hold him as much as possible before he gets even bigger and it is difficult for me to carry him around just because he is way too heavy. Don't want to ruin my back too, you know. Holding them closer is making them feel more secure and I'd like that. Because I have never done that with our first born, our youngest seems to like to be held. Today, I have the opportunity to review the Baby Wrap Wrapy® with Lifetime Guarantee - Baby Sling That Will Keep Your Baby Safe - Comes with "Potty Training" eBook Gift. This product is what should mothers get. · Extra Comfortable – With 95% Cotton/5% Spandex, you will feel extra comfortable with our baby wrap. Don’t believe us? Try it out and see for yourself! · One Size Fits All – Don’t worry about fitting a baby wrap to your body and to your baby, we got you fixed with a size that fits all. · Close To Your Heart With Hands Free – We understand that you need to do a lot of stuff with your hands. Now you can joyfully do everything you want with your free hands. 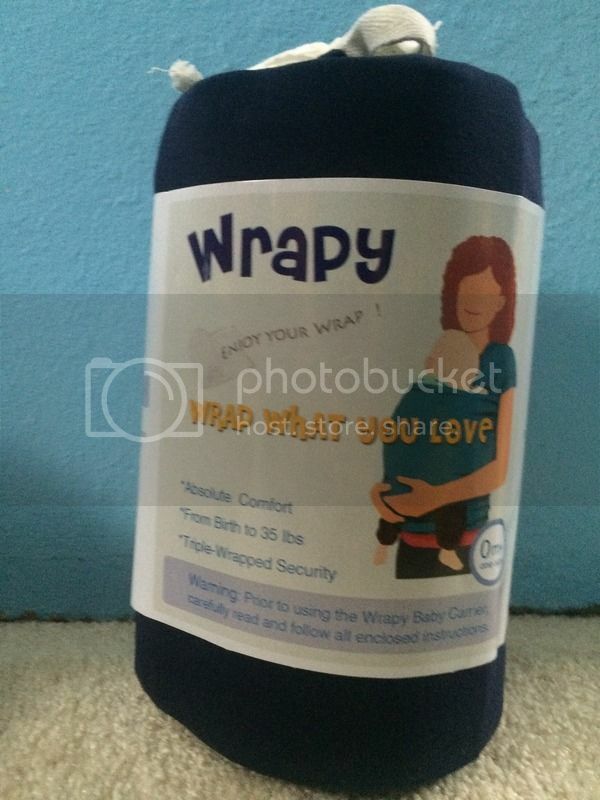 · Machine Washable, Dryer Safe – Rest assured, Wrapy will still stay great AFTER every wash unlike many other products out there. · Wide Piece Of Fabric – With its free size, Wrapy sling baby wraps let you choose the right angle and the freedom to accommodate your own preference. The best shot I can take.. The product arrived in the mail in a great condition. I have seen no signs of damage or rip in the product that I was able to open and use it right away. I like the idea of the pouch storage of the sling to keep if it is not needed. One way we need to think is how we can store or put baby items away once they are not in use. So, a point in the pouch bag for storage. I like the dark color blue as dirt or stain won't be too visible if an accident happens. It is long enough to have an extra wrap if needed, in which I assume this would be a standard measurement. I never get the chance to measure it myself, but like the other sling I acquire, this is also long. The fabric is very soft and stretchy. In which I was a little bit alarmed because when I used it for my 25lbs son around the house for about 10 minutes. I have noticed a slight change. I did make sure that I carefully read and follow the enclosed instructions, as well as to tighten the sling as needed when I put it on. However, while using the sling, my son's position from an upper portion seems to slowly lower down. It might be different when you have a lighter child in it, I could not tell because I haven't tried it to a lighter child. I do like the one wrapping way yet there are 4 different holds you can try and work from the comfort of your child and you. My favorite is hold is the Lotus hold in which my son is facing front so he can see more of the view and enjoys more what's in front of us. The enclosed instruction manual that comes with the product is very handy and very helpful. I would suggest that you have to read them before you try the different holds. The material seems to be sturdy and indeed can hold a child safely, but I would suggest to do your own research too for more information. This is only based on my experience about the product. This wrap would make a great accessory especially if you are doing chore or working out with your baby. I would much prefer these over carriers. They look so comfy for both the parent and the baby! 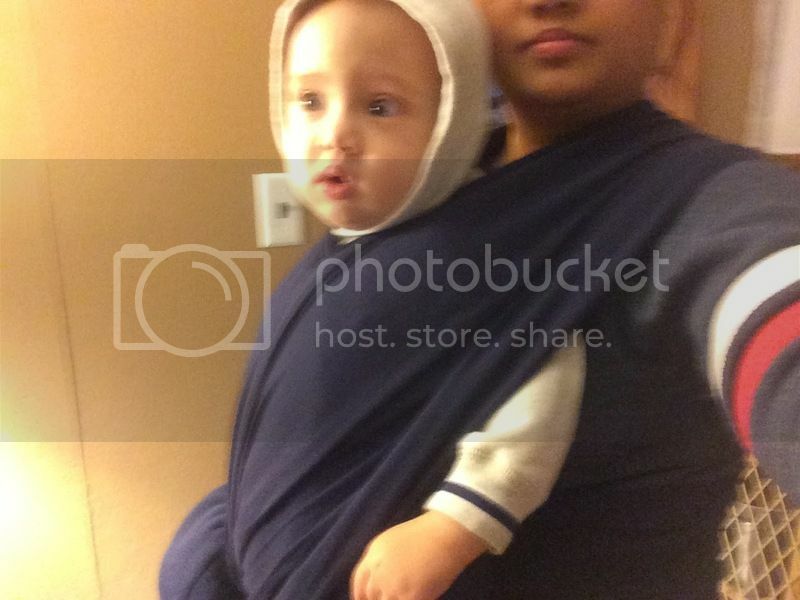 Baby wraps are quite an essential item in households with babies these days. They allow moms to do other things while keeping their babies close to them.